In a day when social media is king, sharing smiles online allows us to come together as one and is a great way to bring sunshine to those hard moments in our journey. 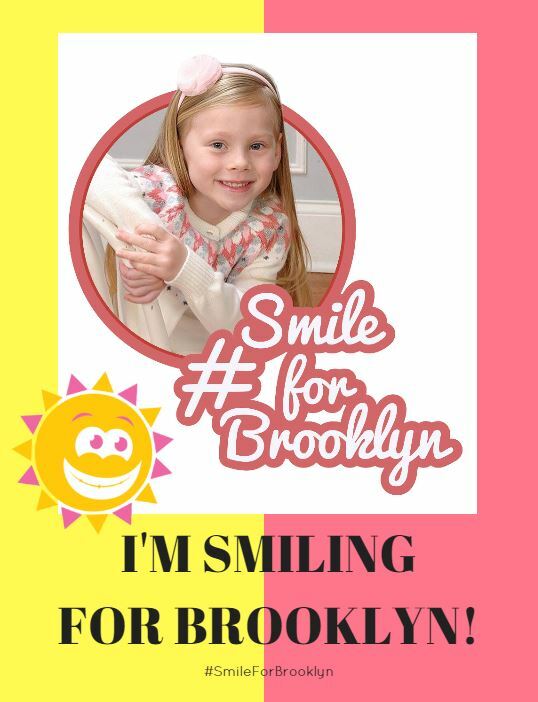 By using our hashtag #SmileForBrooklyn when you post, you are joining our community and allowing others to see your smiles for Brooklyn. Should you wish to take things a step further, feel free to print our SMILE FOR BROOKLYN FLYER and take a photo with it at work, on the go, while spending time with family, friends, whatever! If you are without a printer, hold it up on a device, take a marker and #SmileForBrooklyn on a piece of paper, or any other fun way you can incorporate our hashtag into your photos.